Iberico pork bellies (aka Panceta) are a rich, succulent cut with flavorful ribbons of fat & meat. This is the same cut bacon is made from, but it is also delicious slow-roasted or braised until tender. These bellies are sold with the skin on. 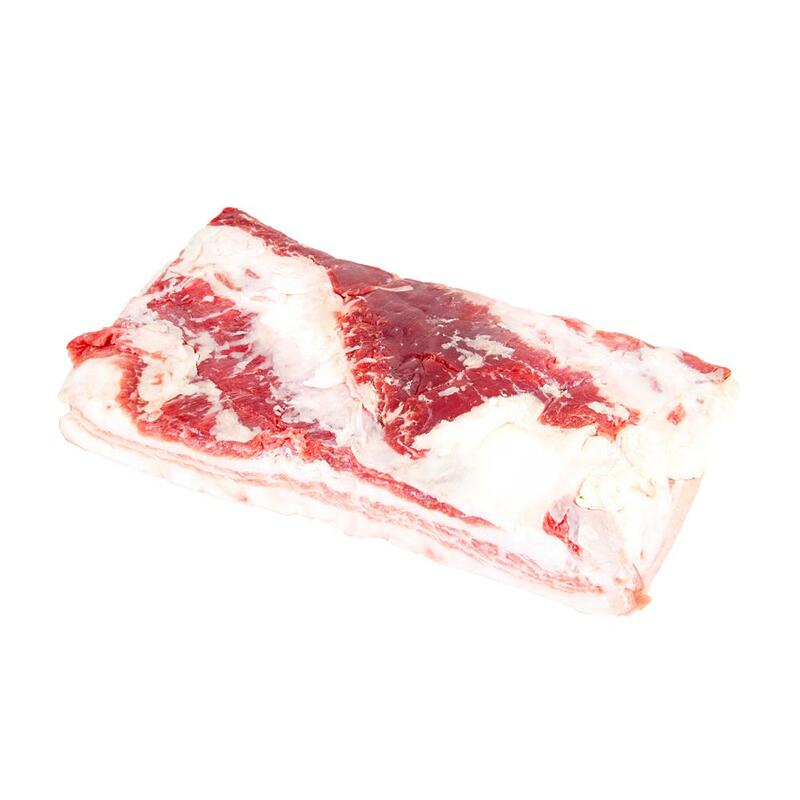 Keep iberico pork bellies frozen until you need them, then thaw before cooking. Iberico pork bellies can be cooked similarly to conventional pork belly – braised, slow-roasted, or cured/smoked into bacon. You may want to remove the skin before cooking for some applications.